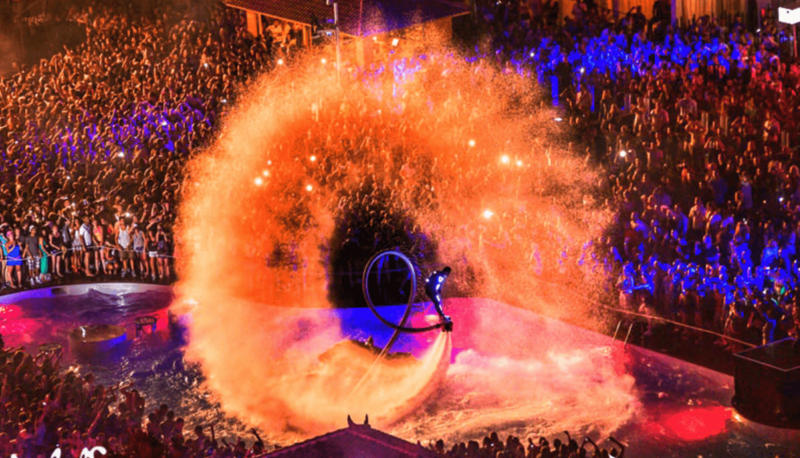 If there was ever a WATER entertainment show that is designed to AMAZE crowds or audiences of any culture or age this if THE show. 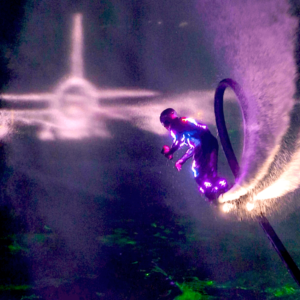 This Flyboard night time show can be performed in a depth of minimum 1.5m of water, so if its a back yard swimming pool or a large marina bay this show can be performed in any type of water body. You will not disappointed with this water spectacular as it has had raving reviews from events that have taken place worldwide including France, Germany, Abu Dhabi, Hong Kong, Australia, Spain, Indonesia, Thailand and the USA. 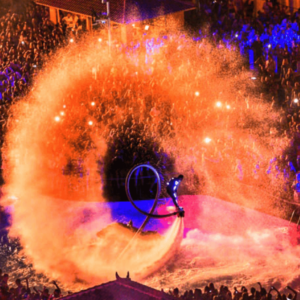 Costs for a night time water show start from GBP £1,500 depending on the type of show required + travel & logistical expenses. Over the years the flyboard night time show has performed at a variety of events and has given out of this world performances for brands such as Audi, BMW, Pernot Richard and Under Armour just to name a few. 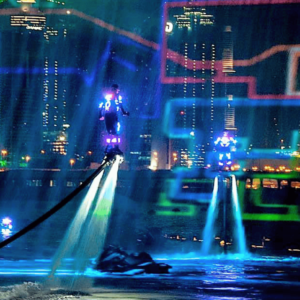 The flyboard night time show is THE most extreme water entertainment spectacular that can be enjoyed by audiences of all ages and has been an absolute highlight at theme parks, weddings, corporate events, boat launches, marina events, sea front fire works displays and private events. 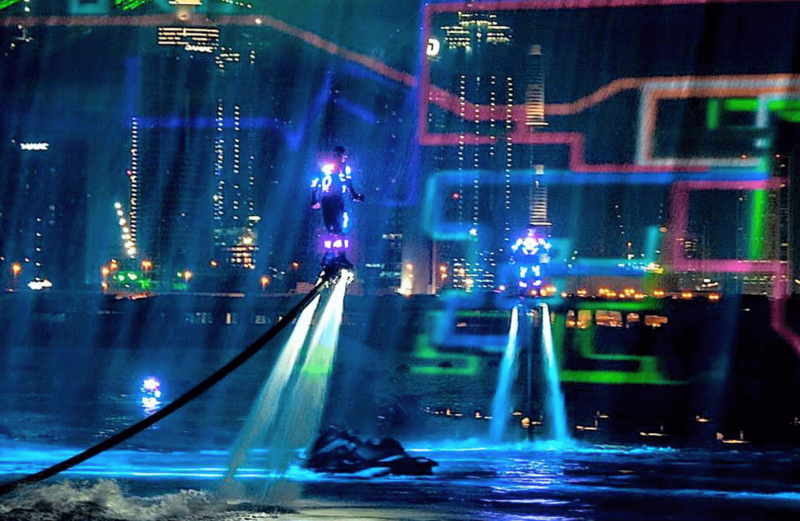 The flyboard night time show can be performed by a solo flyboard artist right up to a large group of up to 20 performers. Performances can last from anything between 5mins to 20mins.